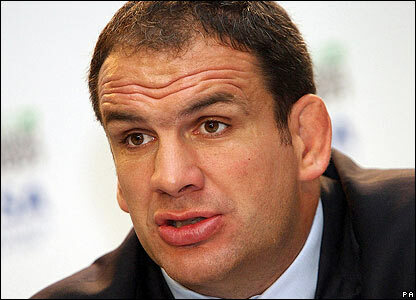 > So Martin Johnson, a plain but direct leader of men is coming to take charge of the English national rugby team. Johnson is presumably coming in like Woodward did; in charge of team management and strategy and dealing with the players 1-on-1 while leaving the day to day coaching to others. That’s fine. His lack of experience is worrying though and should he fail, you have to wonder what kind of compensation we are talking. The RFU never seem to learn. And further to that I would echo Brian Moore’s call that Francis Baron should resign. he wont of course. he thinks he has given the fans want they want but even football doesnt deal as callously as we have dealt with Ashton. And if Robinson and Ashton are considered failures, then who appointed them? Added to that why are the board even involved in all this? Wasn’t Rob Andrew appointed to take care of all this? The usual committee incompetency of English sport!